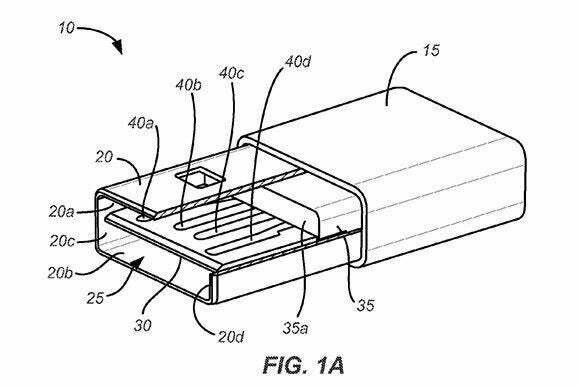 It’s been nearly impossible over the last few weeks to avoid hearing that Apple is reportedly working on a Lightning cable with a reversible USB connector—that is, a connector that will fit into a USB port no matter which direction you plug it in. Leaving aside the fact that Apple-related rumors are a dime a dozen and tend to be about as reliable as horse-racing tips, you may wonder what all the hubbub is about. Sure, not having to “find the right way” to insert a USB cable is convenient, but it seems hardly worth so much press. So what’s the big deal? Apple’s fixation with custom ports and cabling protocols is legendary—and possibly only second to the company’s compulsive fondness for keeping the number of buttons on its mobile devices down to a minimum. It goes all the way back to the Apple IIGS, when co-founder Steve Wozniak himself designed the Apple Desktop Bus, a communication protocol that allowed several serial peripherals—keyboards, mice, and printers, for example—to be daisy-chained together. Whereas most serial ports of the time used 9-pin D-Sub connectors, ADB relied on the rather uncommon 4-pin mini-DIN, starting a tradition that would see Apple continuously reinvent its cables using increasingly sophisticated and customized connectors, all the way down to today’s Lightning standard. While the switch from the 30-pin dock connector to the Lightning cable did have its detractors, it's hard to deny the new cable's simplicity and elegance. It’s easy to come to the conclusion that Apple’s primary reason for constantly reinventing the wheel is one of pure greed. After all, custom connectors translate into the ability to control the third-party accessory market, and levy hefty royalties on the end customers. I’m sure that the folks in Cupertino aren’t sorry that their custom connectors are a (probably very profitable) source of income for the company, but a purely cynical perspective doesn’t explain some of the key usability aspects of Lightning cables, such as the fact it will work no matter how you plug it into an iPhone or iPad, or the need for Apple to create a reversible USB plug—which, after all, must still be compatible with normal USB ports. With badly designed objects—constructed so as to lead to misunderstanding—faulty mental models, and poor feedback, no wonder people feel guilty when they perceive (even if incorrectly) that nobody else is having the same problem. The vicious circle starts: if you fail at something, you think it is your fault. Therefore you think you can’t do that task. As a result, next time you have to do the task, you believe you can’t so you don’t even try. Once you learn about this problem, you start seeing it everywhere in your daily life, and nowhere more so than in the world of computers, where things break, freeze, and otherwise stop working with an alarming ease. It’s not hard to see how that can often scare users into inaction. The Home button on the iPhone is borne out of a similar simplicity. That’s why the Home button on iOS devices is so important. Where techies see a strange fixation with not adding more buttons, an inexperienced user sees a get-out-of-jail-free card that will get them back to a known “good state,” no matter how badly they screw up. By eliminating the fear factor associated with breaking things and having to ask for help, this simple convention frees users to experiment and get more out of their computers. At Apple, the fight against learned helplessness pervades even the most minute aspects of design. A reversible connector is easier to use than one that must be inserted into its receptacle in a specific way—a concept that is clearly lost on the folks who design USB ports. While it’s a relatively obscure detail, it’s one that makes Apple’s mobile devices a little friendlier, a little less scary, and a little better for everyone: all things the company strives for on a daily basis. Marco Tabini is based in Toronto, Canada, where he focuses on software development for mobile devices and for the Web.